The final whistle has been blown and the referee’s decision is final, the Tiger FC’s ‘Ultimate Fan’ has ascended the throne! Tiger FC has again embarked on a nationwide hunt to identify 70 football gurus, through quizzes, at various clubhouse activations during the 2016/17 season. 30of these strong and wise footie contenders have made it to join Tiger FC’s Big Away Game at The Beer Factory, Sunway Giza to battle it out to earn the coveted title, ‘The Ultimate Fan’. 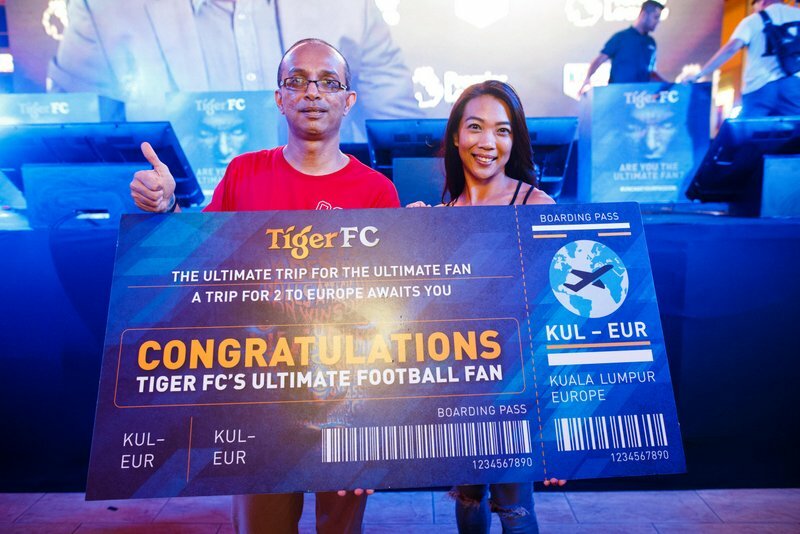 The showdown saw these footie geniuses go through rounds of tests, until the last one standing,Kumaresan Letchumanahan, a banker from Kuala Lumpur was crowned Tiger FC’s ‘The Ultimate Fan’. He was rewarded with a trip for two to Europe to watch a football match live. 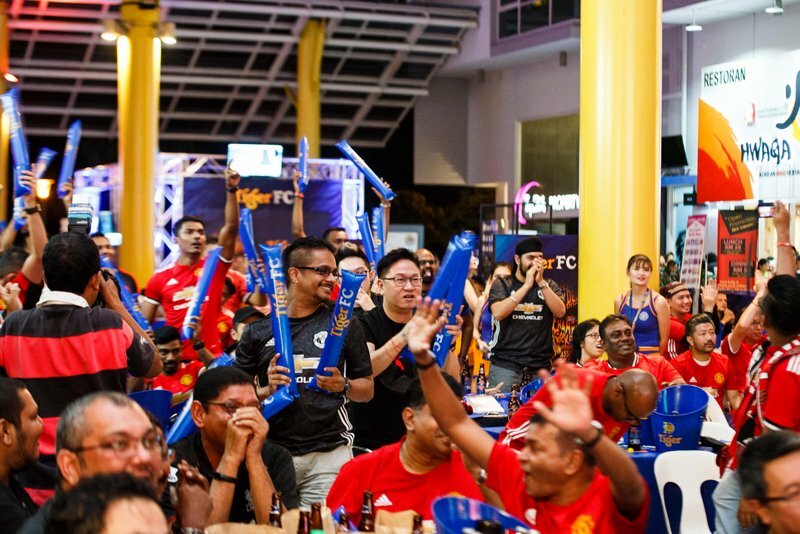 Pure excitement, adrenaline rush and loud cheers filled the air as friends of finalists and Tiger FC fans came together to cheer them on while immersing into the ultimate football viewing experience. 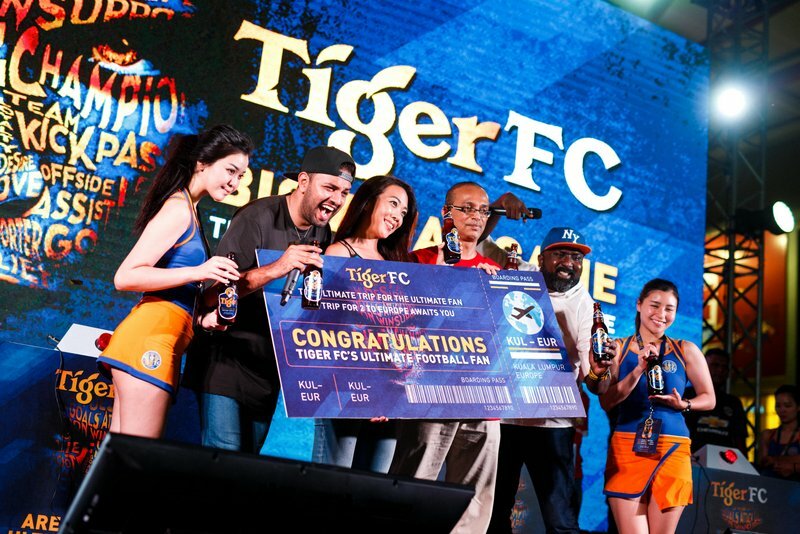 Tiger Beer, Tiger White and Tiger Radler were priced at RM50, RM60 and RM45 per bucket respectively, where fans were given QR codes upon each purchase to redeem some awesome gifts, courtesy of Tiger FC. The QR codes came in handy for fans who downloaded the Tiger FC application to scan and redeem gifts such asTVs, luggage bags, watches, car dashboard cameras and more. The gifts are redeemable based on the points they have accumulated throughout the campaign. Knitted into the epic night were Tiger FC’s virtual reality booth and interesting table trivia rounds for more footie action all through the night. ‘The Ultimate Fan’, Kumaresan who is a die-hard Liverpool fan shared that he had spent months preparing for today’s showdown. “Every free time I had especially weekends, were spent cramming facts on all the leagues and tournaments. It wasn’t easy but I’m so glad I did it,” he said. Kumaresan has not decided on which game to watch but hinted at a possibility to watch his favourite team Liverpool play at home ground as a nice way to celebrate his passion for the game and his team. 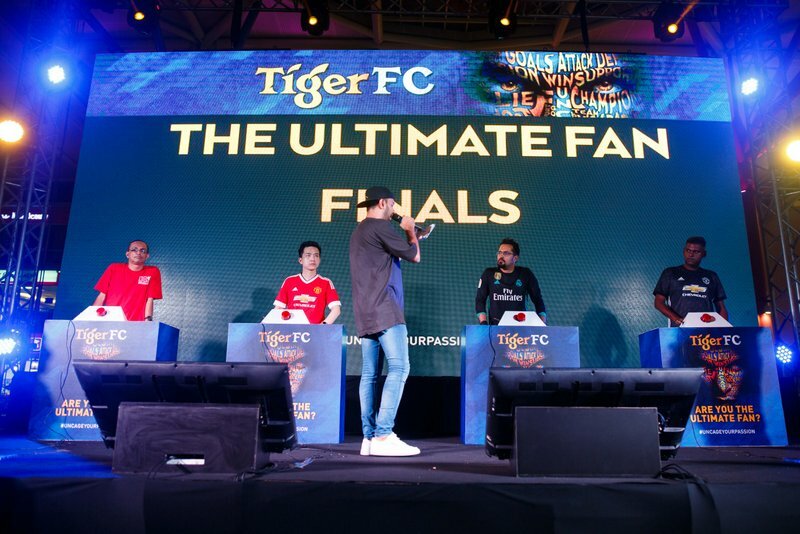 Since November 2016, Tiger FC began its search for ‘The Ultimate Fan’ who are equipped with football expertise and love for the sport, at selected Tiger FC clubhouses throughout the 2016/17 football season. A total of 70 Samsung TVs were given out to finalists, with over 350 PUMA Pro Training Medium Bags extended to consolation prize winners. For more information on Tiger FC, visit Tiger Beer’s Facebook page www.facebook.com/tigerbeermy today. This entry was posted in News and tagged football, sports, tiger, tiger beer, tigerfc, uncage, uncageyourpassion by TheGoodGoodGuy. Bookmark the permalink.